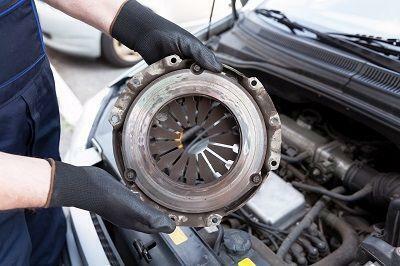 Do you need clutch repair in Clackamas? If you’re here, it’s probably because you suspect something is wrong with your clutch. Sometimes all that’s needed is a quick repair but depending on the age of the clutch, a replacement may be better. 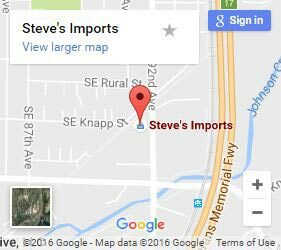 When you bring your car into Steve’s Imports because you think your clutch might be on its way out, we’ll work to figure out if your clutch still has life left in it or if a new one is the way to go. With clutch issues, your check engine light probably won’t help you. Bring your car in for a complete diagnostic check from our ASE-Certified mechanics. Grinding when shifting. Your clutch or friction disk is sticking. That can mean an array of problems, mostly related to the mechanical release system or clutch master cylinder. Your clutch pedal may also need to adjusting. Pressing the shift pedal leads to squealing. Your throw-out bearing is likely damaged or lacking lubricant. A pilot bearing may also cause the same symptoms if the clutch disc and input shaft don’t sit flush with each other. Noisy clutch pedal while the engine off. A lack of lubricant is most likely. Cables and rods end up scraping against one another. Our experienced clutch repair techs can narrow down and identify the root problem area. Sponginess. This is usually caused by air in your hydraulic system line. Looseness. Looseness changes depending on if you have a hydraulic release mechanism or not. It may be due to anything from fork damage to pressure-plate issues, low fluids, leaks, or damaged master cylinders. Clutch pedal stuck in down position. If your clutch pedal won’t rise from the floor, you may have a bind in the release bearing or linkage. Difficult to engage clutch pedal. Your clutch pedal should not feel heavy or stiff to push. Difficulty pushing your clutch pedal is likely due to the release mechanism. Any of these components may be at fault. Pulsing. Pulsing is the feeling of vibrations being transferred through damaged components of the clutch. It commonly indicates damage to a lever or warped flywheel. In some cases, a misaligned transmission can cause pulsing. Vibration or chatter during acceleration. General vibration or loudness during acceleration is a broad symptom that can be due to any number of things. Flywheels, clutch lining, discs, pressure plates, bearings or even bad motor mounts may all be responsible. Slippage. If there’s one sign that your clutch needs replacements, it’s when it’s slipping out of gear. It smells like burnt toast. A common problem with city driving and a tell-tale sign of overheating. Harsh shifting. Rough shifting can be caused by an oil leak onto the clutch plate. Clutch is stuck. This is most often caused by hydraulic linkage failures. Air in the hydraulic line. A stretched or broken clutch cable. Defective or leaky master/slave clutch cylinder. Slow start but your engine high revolutions per minute (RPMs). This is a common sign of a slipping clutch caused by a worn out clutch disc. Power is being prevented from transferring to your transmission. The clutch can also release sooner. Start your vehicle with the emergency brake engaged. Depress the the clutch pedal. Shift your vehicle into 2nd or 3rd gear and rev the engine to about 23 – 2600 RPM’s. Release your clutch pedal slowly. Did your vehicle stall? If it didn’t that means you’ve got a slipping clutch. You can’t shift into reverse. That means you’re probably dealing with a warped clutch plate, linkage malfunction, or even issues with your linkage adjustment. Your transmission won’t go into gear. This could mean a master or slave cylinder failure – if you have a hydraulic system. Issues may be related to the shift lever assembly, release lever, pressure plate, control cable, or even clutch disk if you have a mechanical assembly. Set your parking brake. Start your vehicle and put the clutch into neutral. Don’t engage the clutch. Listen carefully for a growling sound. If you don’t hear anything, move to step three. If you do hear something, you are more likely to have a problem with your transmission than you’re clutch. Don’t take the car out of neutral. Slowly depress the clutch while listening carefully. If you hear a chirping noise, you may have an issue with the throw-out bearing or clutch release. If you don’t hear anything, move to step four. Press your clutch to the floor. A squealing noise indicates an issue with the bushing or pilot bearing. Do you need clutch repairs or a clutch replacement? While we can’t reverse a slipping clutch, our auto repair shop has everything needed to replace it. 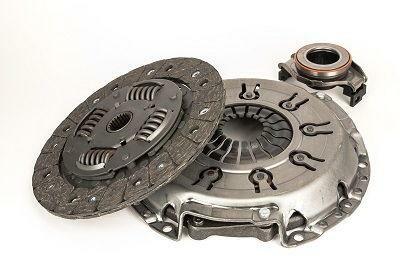 If you’re experiencing the first symptoms of a damaged clutch, bring your vehicle in today. Immediate servicing can greatly slow slippage. We’ll always do what we can to provide you the full scope of your clutch-related problems, and do the work as inexpensively as possible. With us, you’ll always know what your options are. Contact us to schedule your clutch diagnostics or repairs today!